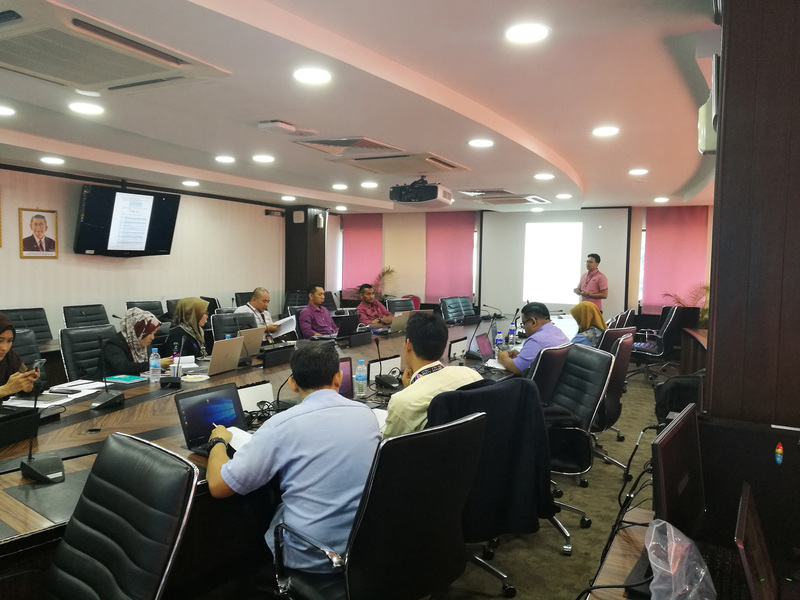 Israk is a Malaysian-based company providing the best and affordable Digital Signage, Videowall, Interactive Kiosk since 2010 with many governments and private company projects. Digital Signage is the new trend. These cutting edge communication networks allow you to create and deliver timely, targeted messages that inform, educate and motivate your audiences without your budget taking a painful hit. 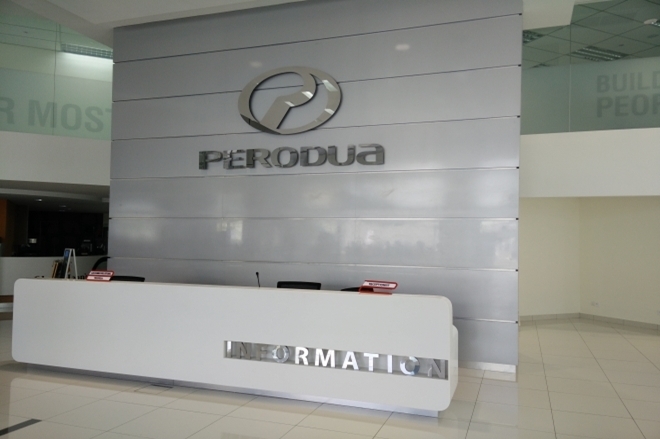 IsrakSignage at Perodua Sentral, Petaling Jaya. Digital Signage is the new trend. These cutting edge communication networks allow you to create and deliver timely, targeted messages that inform, educate and motivate your audiences. 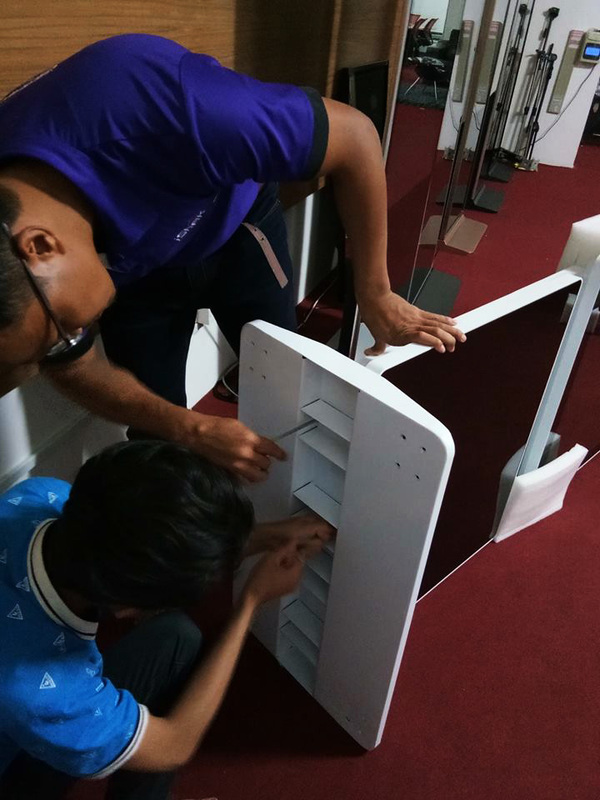 Software training for the employee of MONASH UNIVERSITY on how to use the signage software that they request for the 2 unit 49" & 43" Inch kiosk. Our Floor Standing Touch Screen Kiosk (Vertical) provides both high quality commercial display and a luxurious housing come with tempered glass. Israk is proud to be appointed as a supplier of 1 units Interactive Floor Standees for UEM EDGENTA, Bangsar South. It's a 49" touchscreen floor-standing monitor ipad series with Infrared 10points touch technology. Software training for the employee of FAMA on how to use the signage software that they request for the 7 unit 55" Inch kiosk. Our Floor Standing Touch Screen Kiosk (Vertical) provides both high quality commercial display and a luxurious housing come with tempered glass. 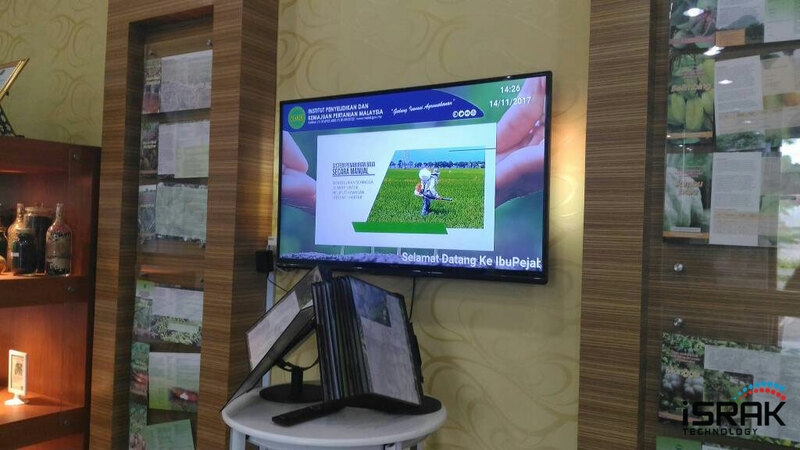 The Floor Stand Multi-Touch Screen standalone product can also be used as Digital Signage. 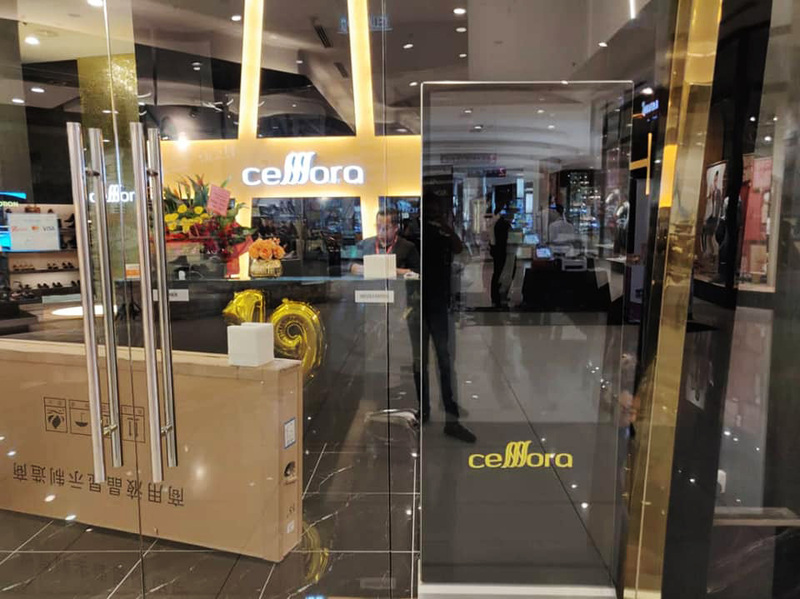 Israk is proud to be appointed as a supplier of 1 unit Touch Screen Information Kiosk & 1 unit Floor Standee for Cellora Skin Cell Boutique at The Mines shopping mall. It a 24" touch screen monitor with steel kiosk stand and 55" floor standee kiosk. Israk is proud to be appointed as a supplier of 1 units Interactive Floor Standees for Dewan Bahasa Dan Pustaka. It's a 55" touchscreen floor-standing monitor with Infrared 10points touch technology. 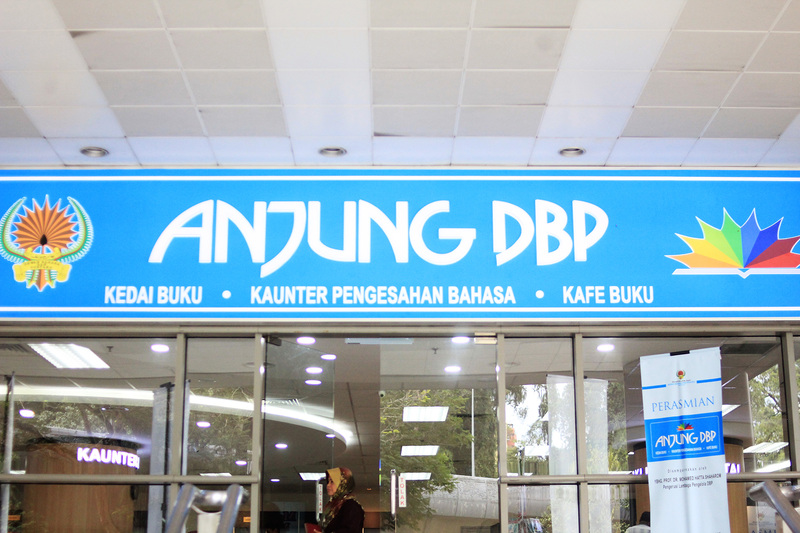 The interactive kiosk are located at Anjung DBP Bookstore. 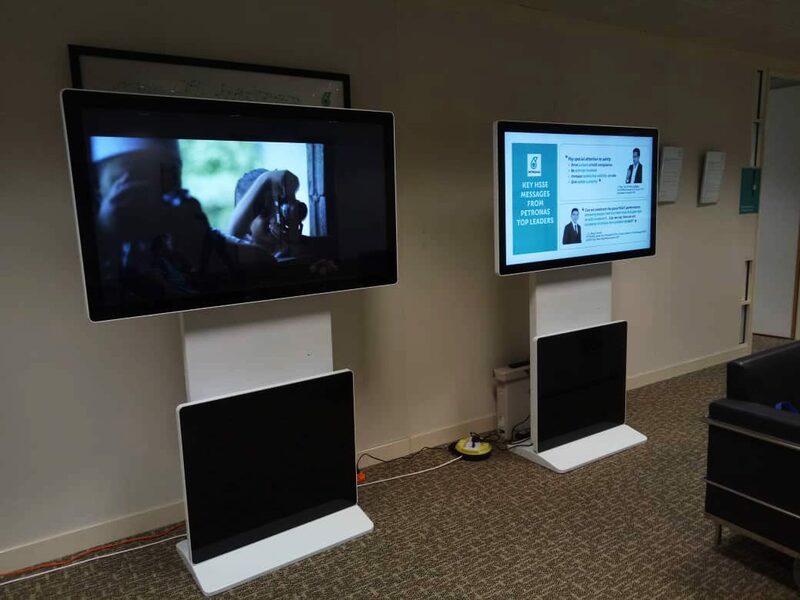 A cloud-based digital signage and touch screen training is provided for the internal staff from the various department involved. 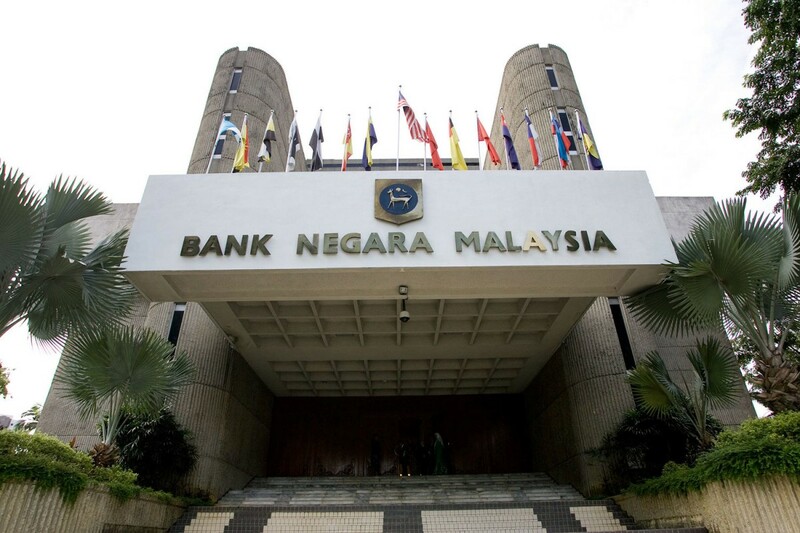 Israk is proud to be appointed as a supplier of 3 units Interactive Floor Standees for Bank Negara Malaysia (Central Bank of Malaysia). It's a 43" touchscreen floor-standing monitor with Infrared 10points touch technology. 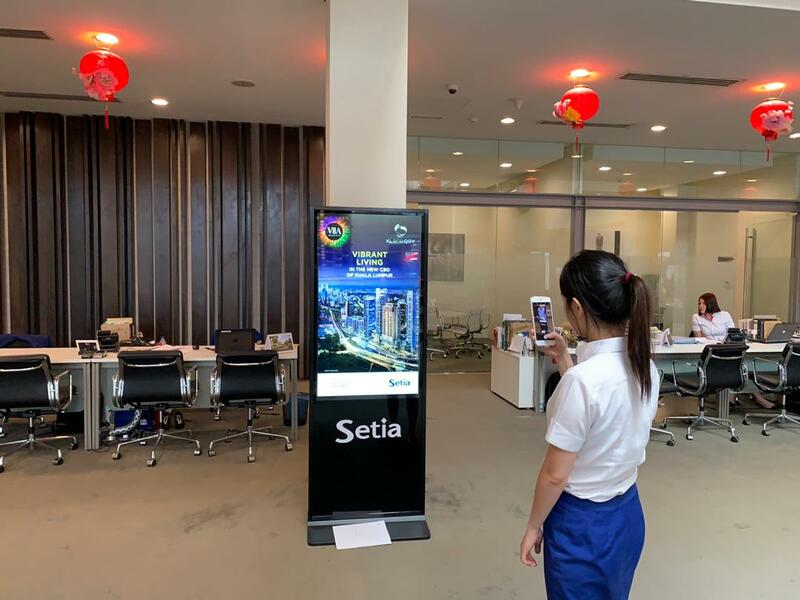 The interactive kiosk are located at cafe Sasana Kijang, Lanai Kijang and HQ of Bank Negara. Israk is proud to be appointed as a supplier of 2 units Floor Standee Touchscreen kiosk for Petronas Carigali at Tower 3, Kuala Lumpur Convertion Centre. It a 55" rotatable floor stand model FLR101-W.